For many of us, we want our bodies buried after our death. This means, amongst other things, that our bodies will need to be placed into coffins before being put into the earth. While coffins may seem like fairly basic purchases, there’s a lot that goes into choosing the right one. Here’s what you should know about them before making your choice. You may hear these two terms used interchangeably, which is fine. For the most part, people from the US call them caskets, where you’re more likely to hear people call them coffins around the rest of the world. The word coffin comes from the 16th century and refers to a wooden box that usually has six or eight sides. It wasn’t till the mid-19th century that people began saying casket. These are usually considered to be boxes with four sides and a split lid to make it easier for visitation. Nowadays, they come in a number of different materials too. Do I Have to Buy One from a Funeral Home? For the most part, the answer to this question is that no, you don’t. Funeral homes definitely sell them, but you can get them a number of other places too. Depending on the funeral home you use, it may be more affordable to use a coffin from them. On the other hand, sometimes they are overpriced. Do your due diligence by shopping around and you’ll know for sure. Other options for purchasing coffins include online retailers. These are nice because they’ll tend to feature far more models than you’d ever be able to find at a funeral home or other local options. Plus, depending on shipping, you stand to save a lot of money by ordering your coffin off the Internet. Though it’s rare, many people have custom caskets made. Rarer still are people who have an affinity for woodworking and can make their own. No matter which route you go, be sure the cemetery you’ll be buried at approves of the coffin you plan on using. Also, if you find a cheaper version of one that is being sold at a funeral home, it’s worth seeing if they’ll drop their price for a more convenient option on your side of things. Although the originals were made from wood, coffins have come a long way since then. Nowadays, you have a number of different materials to choose from. Metal caskets can be made from stainless steel, bronze or copper. A stainless steel is going to be considered by the thickness, or gauge, of the metal. Bronze and copper options are sold by the weight of the coffin by square foot. There are all kinds of wood you can use to make coffins these days. Popular choices are maple, ash, poplar, elm and cottonwood. Unlike wood caskets of yesteryear, these are generally polished to a beautiful lustre and feature hand-crafted designs. It’s not at all uncommon to see a wood coffin with a satin finish, providing for an amazing aesthetic. One of the nice things about fibreglass coffins is how light they are. While they can be made to size, fibreglass is often used for infants who passed away. Though many people mistakenly think that fibreglass is an inferior material, the truth is that this option is extremely strong. Plus, you can choose from all kinds of faux finishes that will make your coffin look like anything from wood to marble. Some people pass away when they were carrying around extra weight. Other people are simply just extremely tall. In either case, they will most likely need an oversized casket to hold their body. As the population grows in size, though, these types of caskets are becoming less of a speciality and more of a regular thing. When you go to purchase a coffin, you’ll most likely hear terms like “sealed”, “protected” or “gasketed” associated with some of the models. All these words mean is that your coffin was constructed in such a way that they are capable of keeping out water from seeping in and will prevent rust from forming. Whether or not this is important to you, know this: there is no coffin out there that can keep the body inside looking perfectly forever. Some people feel uncomfortable thinking about their loved one decomposing, but nothing can prevent this natural process from eventually happening. There are plenty of other trimmings to think about too. For example, there will need to be handles in order for the coffin to be moved around and there are a number of different choices to think about ranging from the purely practical to the more ornate. You can also decorate the inside of the coffin however you like too. There are a wide range of materials to choose from to furnish the inside. There’s no getting around the fact that coffins can cost a lot of money, depending on the type of material and construction you go with it. On average, they hover around a thousand dollars or so. However, it’s easy to spend upwards of three times that amount. Of course, depending on your tastes, you could spend tens of thousands on a coffin. 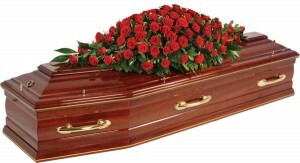 In order to save costs, many people opt to rent a coffin. These can be used solely for the sake of presentation at a wake and funeral. 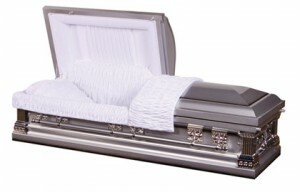 Afterwards, the deceased can be removed and transferred to a burial container, which costs much less. While you’ll have less options and still have to pay, this is a far more affordable option. Bodies which are cremated are always put into a coffin first. These are combustible coffins that will give way when submitted to the intense heat of the crematorium. Some people, though, still rent a coffin for the sake of visitation and presentation. Other will still purchase a model. While it’s never easy to think about a coffin, whether for you or a love done, it’s better to do so as early as possible so you get the kind that’s most appropriate.